Sometimes, change makes good sense… I have never been a proponent of changing things for the sake of change. I learned that lesson in 2002 when we tried a Dodge Intrepid for a cruiser. I have actually been designated an “old school” Police Officer who tends to cling on to traditional ways and looks. But when there is a change occurring in the law enforcement community, it is crucial to study it. 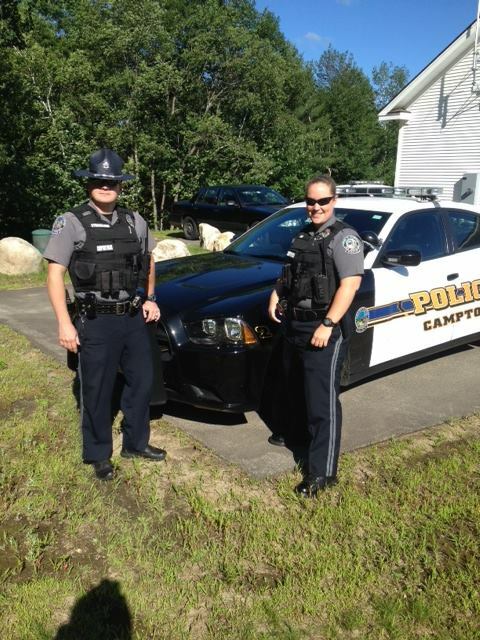 That said, you should all notice that the Campton Officers are wearing black vests over the traditional uniforms. 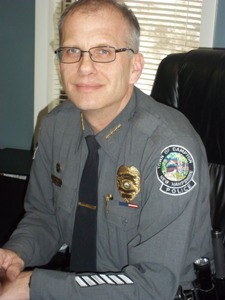 This change occurred June 19 after one of the officers wore the outer vest for about 3 months, gauging opinion of various townspeople and business owners. The reason for the change is actually pretty simple: Weight distribution, comfort, officer safety and practicality. The carrier makes use of a MOLLE webbing which allows each officer to structure the tools placement to their specific comfort and accessibility. The ballistic panels are the same panels they had internally so there is no additional cost, other than the 5 year replacement already in effect. Officer back pain and health issues surrounding their backs and conditions such as hip or sciatic pain based on the weight of the duty belt and equipment are well known. Many officers have suffered back injuries from on-the-job motor vehicle accidents or slips and falls. These external vest carriers increase officer comfort by helping to shift burdensome weight from the belt to the carrier. The current concern of a “militaristic” look has not been heard by any of the people that we have encountered. Also, the officer’s attitude (in my experience) goes a long way in determining how they are perceived. 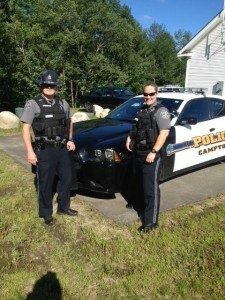 The officers may also remove the vest when inside the station for added comfort and coolness during the warm weather. So far, the response has been very good, both by the citizenry and the officers.